It is getting busy in letterboxing land, in the last couple of days my heart was warmed by receiving over thirty messages reporting finds on my letterboxes. Adding further joy, was my being able to get out and find a dozen new ones. My daughter, who introduced me to this addiction, went out with her family yesterday attempting to recover some boxes. They ended up getting soaked by a sudden downpour, but still had fun. Thinking back I believe that many of the most memorable fun times we had while the family was growing up were associated with some unexpected “disaster”. I am sure they will relate tales of this one for years. Still dwelling on St. Patrick’s Day I have decided it is time to share some facts. Who was this guy? 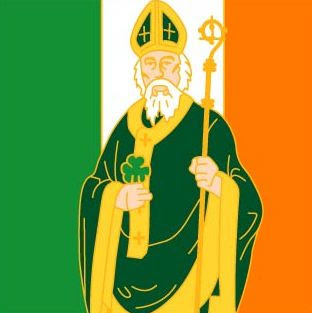 St. Patrick was born in Britain to wealthy parents near the end of the fourth century. Although his father was a Christian deacon, there is no evidence that Patrick came from a particularly religious family. At the age of sixteen, Patrick was taken prisoner by a group of Irish raiders transported to Ireland and put to work as a shepherd. Lonely and afraid, he turned to his religion for solace, becoming a devout Christian. After more than six years as a prisoner, Patrick escaped by walking nearly 200 miles to the Irish coast. After escaping to Britain, Patrick experienced a vision to return to Ireland as a missionary. He began religious training that lasted more than fifteen years. He was then sent to Ireland as an ordained priest, with a dual mission to minister to Christians already living in Ireland and to begin to convert the Irish. When Patrick arrived, most Irish practiced a nature based pagan religion. The Irish culture centered on a rich tradition of oral legend and myth. Being familiar with the Irish language and culture, Patrick chose to incorporate traditional ritual into his lessons of Christianity instead of attempting to eradicate native Irish beliefs. For instance, he used bonfires to celebrate Easter since the Irish were used to honoring their gods with fire. 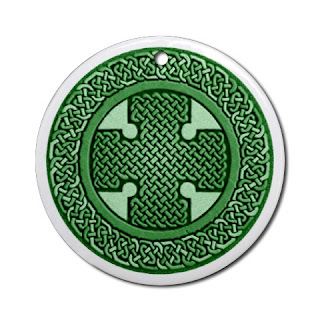 He also superimposed a sun, a powerful Irish symbol, onto the Christian cross to create what is now called a Celtic cross, so that veneration of the symbol would seem more natural to the Irish. He (St. Patrick) chased away the snakes! They were never there. St. Patrick introduced Christianity to the Celtic clans! While he certainly did help to expand Christian influence and teachings, a part of his mission was to minister to those Christians who were already there. Leprechauns are an important part of the Holiday! The original Irish name for these figures of folklore is "lobaircin," meaning "small-bodied fellow." In Celtic folktales, leprechauns were cranky souls, responsible for mending the shoes of the other fairies. Though only minor figures in Celtic folklore, leprechauns were known for their trickery, which they often used to protect their much-fabled treasure. Their association with St. Patrick’s Day was a Walt Disney invention (Darby O'Gill & the Little People) circa 1959. The Irish drink lots of green beer on St. Patty’s day! Until recent years Irish pubs were closed on this Holy Feast day. Some are now open in an effort to promote tourism. Green beer is an American invention. Corned beef and cabbage is the traditional holiday dish! Cabbage yes, but corned beef is only popular in the US where Irish immigrants in New York City adopted it from their Jewish neighbors as an inexpensive substitute for the "Irish Bacon" feast day food item they had enjoyed back home. St. Patty’s day has always been celebrated with large parades! The first know parade was held by Irish soldiers serving in the English military who marched through New York City on March 17, 1762. Along with their music, the parade helped the soldiers to reconnect with their Irish roots, as well as fellow Irishmen serving in the English army. The color green has always been associated with Irish American’s! For many centuries the two major political/religious factions in Ireland have been the “Protestants” i.e. Anglican Church whose symbolic color is orange, and the Catholics symbolized by green. Until the potato famine of 1845 the vast majority of American settlers from Ireland were middle class Protestants associated with “The Order of the Orange”. The famine drove great numbers of subsistence level farm families to look for new opportunities. During this period close to a million poor, uneducated, Catholic (Green) Irish poured into America to escape starvation. I'm so jealous of all the letterboxes you have in your area!!!! We don't have near enough to keep us busy. And was it St. Patrick who cut down a tree in Ireland that some people were worshipping? Or is that a myth, too? Very interesting info - thanks!